Baby Munchables are the new edible smiles brought to you by Nosh, the baby snack experts. These artisan style rice wafers will turn any from upside down. 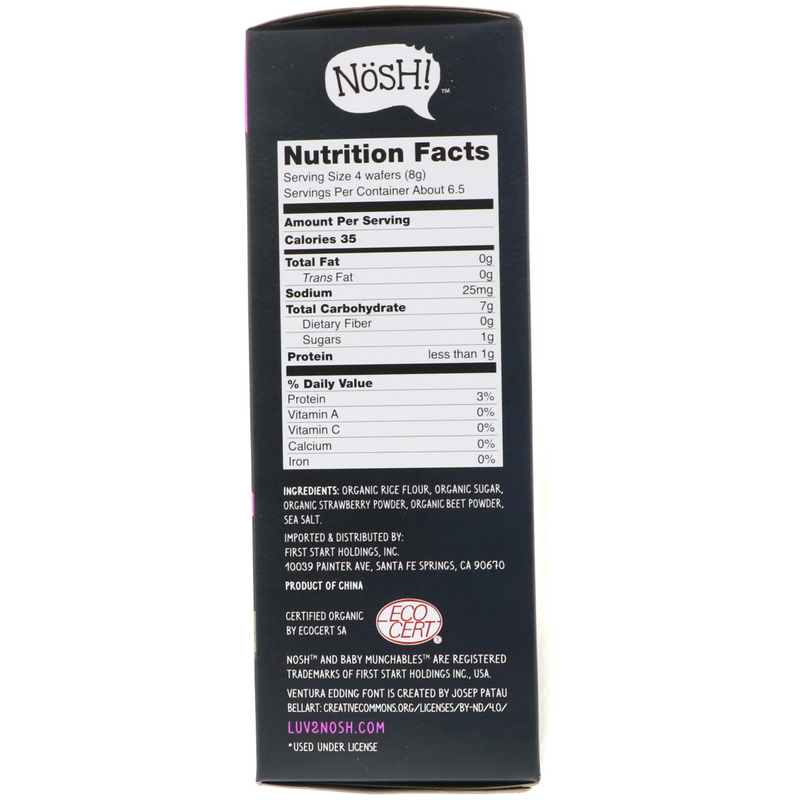 With foodie flavors like strawberry and beet, that are sure to tantalize even the smallest tastebuds. 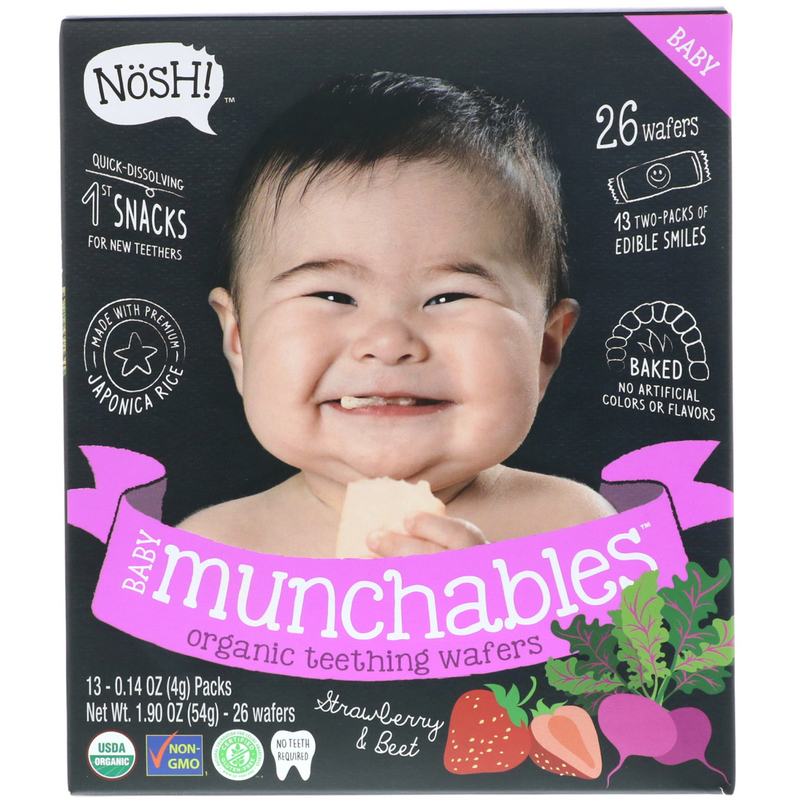 The perfect on-the-go snack for a teething or fussing little one. Harina de arroz orgánico, azúcar orgánica, polvo de fresa orgánica, polvo de remolacha orgánica, sal marina.